To continue debugging my problems with CC1, I needed a signal source that I could feed into the transciever. 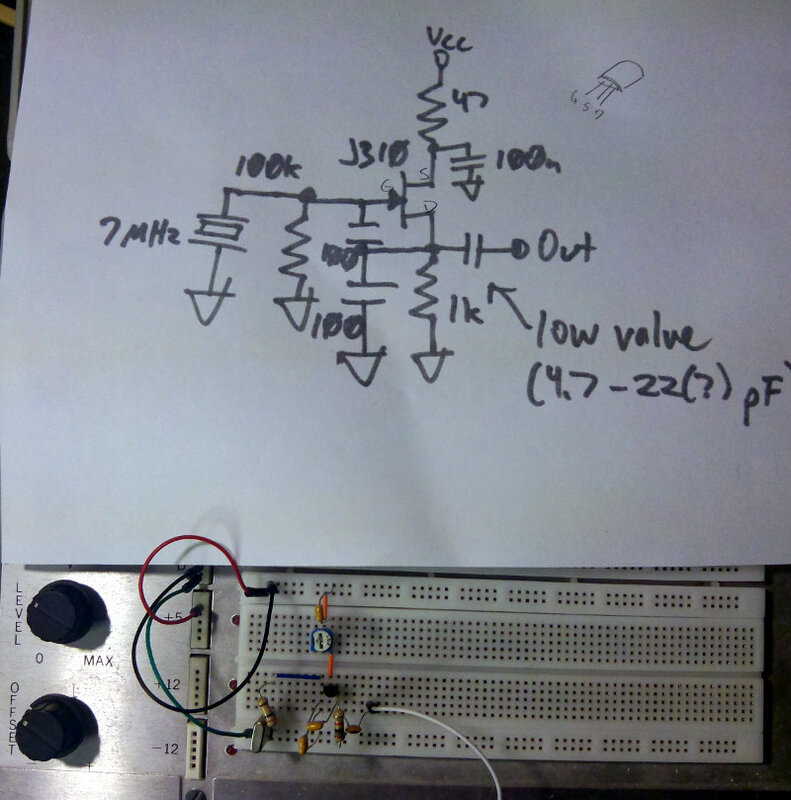 Jason/NT7S sketched out a simple crystal based Colpitts oscillator circuit for me to try. 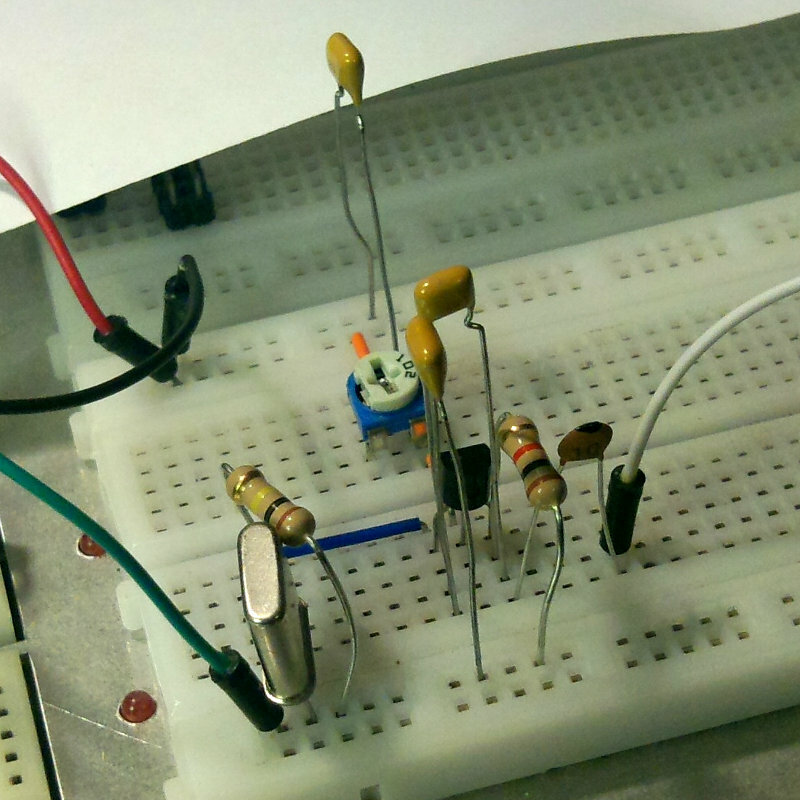 Fortunately I was able to find everything I needed in my parts bin to breadboard the circuit. I used a 7.030 MHz crystal and a 10 pF capacitor at the output. 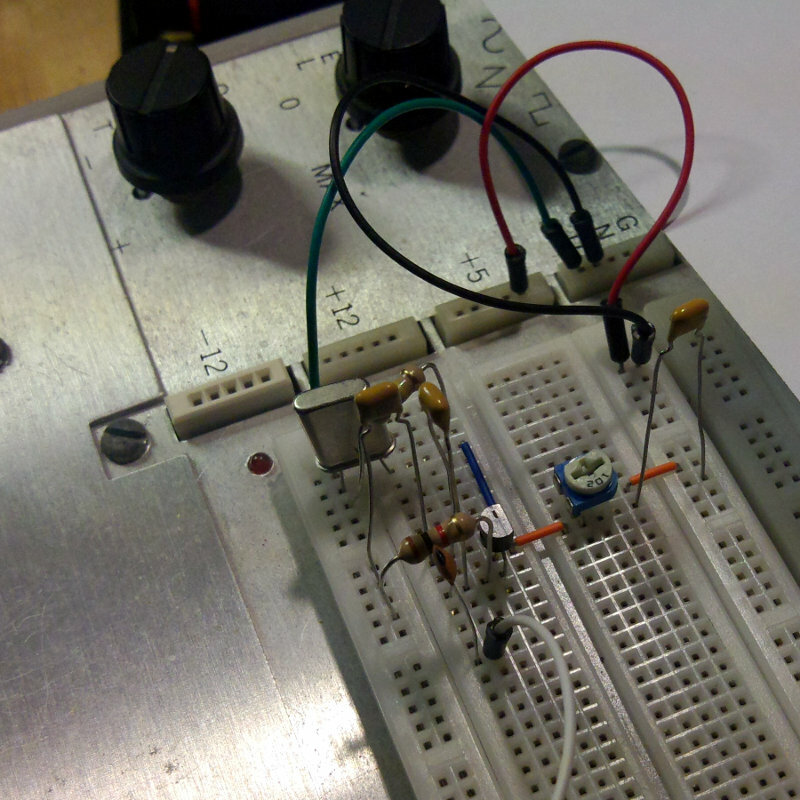 Will give it another examination tomorrow to make sure I have all the right components and that everything is laid out properly on the breadboard, then give it some power and see if I get anything out of it.